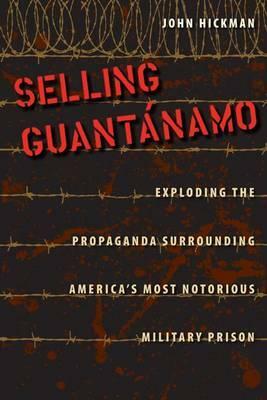 Curious isn’t it how the decision-making of the United States Government is also imprisoned at Guantanamo Bay? In a seemingly escape-proof blame game President Obama insists that the U.S. Congress prevents him from closing the prison while Congressional Republicans insist either that he has failed to offer a workable plan to dispose of the prisoners or that the prison is an irreplaceable asset. The only serious effort to break out of this separation of powers tragedy is coming from the prisoners themselves. The latest iteration in the rhetorical loop between the executive and legislative branches began with the President Obama’s May 23rd speech at the National Defense University, wherein an impending return to normality following the War on Terror was announced. Dawn is to break after a long and frightening night. The now familiar promise to close Guantanamo was renewed, with the accompanying qualification that the Congress must permit him to act. That same day we heard Republican Senators John McCain, Lindsey Graham, Saxby Chambliss and Kelly Ayotte respond at a press conference with their reasons why the Guantanamo prisoners must remain right where they are. McCain and Graham’s comments can be ignored because their arguments are ignored by most voters; Chambliss and Ayotte’s comments merit attention because they reflect the nonsense believed by most Republican and many Independent voters. In the stentorian tones of an Old South hanging judge, Chambliss said that “we’ve got 166 of the meanest, nastiest killers in the world located at Guantanamo Bay today…” A vast exaggeration. Despite diligent efforts to identify dangerous figures among the prisoners, [pdf] the Guantanamo Review Task Force managed to finger only 48 in its January 22, 2010 report. Clearly, what mattered was not the math but the chance to repeat the ‘worst of the worst’ part of the justification for the original Guantanamo decision. Chambliss’s interest was in protecting the legacy of the Bush administration and not in protecting the safety of the American people. Ayotte repeated a different part of the original justification when it was her turn at the podium. Obviously nervous, she insisted that Guantanamo must remain open to “maximize intelligence.” The belief is that interrogations conducted at Guantanamo somehow produce better information than interrogations conducted elsewhere. That there is nothing to back up this conviction hardly matters. What Chambliss and Ayotte recognize is that support for keeping Guantanamo open among Republican and Independent voters is not a matter of facts or reason, but instead of emotion. Guantanamo is the symbol and the location for the performance of vengeance against enemies, or more accurately those who are selected to take their place. Given Obama’s reluctance to hold anyone accountable for the crimes of the Bush administration and an amnesiac American press, it would be surprising if Congressional Republicans passed up any opportunity to repeat the original justification for the Guantanamo decision. That’s why the ongoing hunger strike among Gitmo prisoners matters. Many of them have either been cleared for release or never tried, and despair has driven them to the strike. Obama’s bloodless rhetoric about effectiveness and efficiency falls of deaf ears. However, the image of prisoners starving themselves in the name of justice elicits powerful emotional responses from any news audiences. Even from Republicans and Independents. No other form of self-sacrifice is so visceral. Having relied on appeals to primitive emotion to manipulate American public opinion since 9/11, the conservative architects of the War on Terror may now be undone by the very same force. Fear and hate may dissolve in identification with suffering.